Discount Dumpster company is proud to serve the community of Brentwood with all your waste disposal needs. 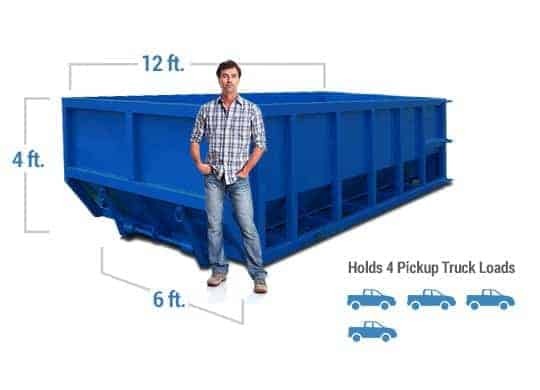 Our dumpsters are available in all standard sizes to ensure every residential and construction project is hassle-free. Whether you are replacing wallpaper or demolishing a small home, call us today to get quality service at an affordable price. We are sure we have the dumpster rental to get the job done. Call us before noon today to rent a dumpster and get that project started. 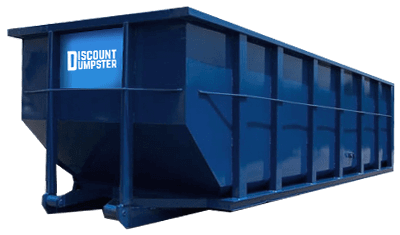 Discount Dumpsters experienced team has been in the business for over a decade. We understand that waste removal can be aggravating. The goal is to eliminate or minimize this unnecessary stress. Containers can accommodate virtually any cleanup or construction effort. As a convenience you can rent as many dumpsters as you would like. Order one or five, there is absolutely no limit. Give us a call today for more details. The 12 yard dumpster is ideal for basement and attic clean outs. Its small size allows for the container to fit anywhere with convenience. The 12 yard allows you to dispose of clutter such as wallpaper and wood. The 20 yard roll off is best suited for demolition projects. You can easily discard of construction debris such as brick and concrete. The 20 yard is can also be used for full room remodels. 30 yard dumpster is typical for multiple full room refurbishes. Its bulky size allows the roll off to hold household rubble with ease. With 30 cubic yards of room, it is common for large-scale building renovations. Although our company strives to give our customers the best service possible, there are regulations we must adhere to. Construction material such as dirt or concrete must be in separate receptacles. The debris can only be loaded halfway up the bin, and the material must be distributed evenly. One end of the container can not be overloaded, or our driver cannot pick it up. You would then have to reschedule a pickup and a trip fee will be assessed. Call us today for more details on what is acceptable for disposal. Has your attic become a dust trap for all your old furniture and unwanted clutter? If this is true, we have the perfect cleanup option for you. When you rent a dumpster with our company, you can finally get that attic in shape. A roll off dumpster is a great option for attic and garage cleanings, and we have many dumpster sizes available. Whatever trash you may be hoarding, call us today and leave the waste disposal to us! Discount Dumpster understands that not every project is the same. Some projects can be completed in a matter of hours, while some can take months of planning. For your convenience you can keep the container for as long as needed. While 10 days is the normal rental duration, you can rent a dumpster past this for just $10 a day. Make sure to call us and not the number on the side of the dumpster. We will then send a driver to pick up your bin.